If you’re looking to save money on a car that also saves gas, you definitely should check out this list of used hybrids under $15,000. 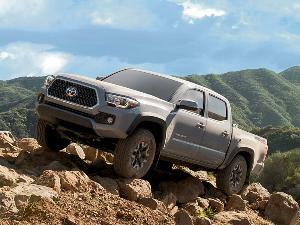 These vehicles can deliver high fuel economy ratings despite having a relatively low price. In fact, not only do we have one model here that can break 50 mpg, we have another that can drive more than 50 miles without using any gasoline at all. (Of course, that plug-in hybrid can run on gas as well, for hundreds of further miles of travel.) Nor are you stuck with only the lowest levels of equipment. Hybrids tend to have more content than comparable gas-only cars, but we also have a pair of choices here from actual premium brands. If you’re shopping for used hybrids under $15,000, the 2016 Toyota Prius is a great place to start. The Prius was completely overhauled for the 2016 model year, even adding a new hybrid propulsion system for improved fuel economy grades. With that on board, the standard 2016 Prius pushed its EPA ratings up to 54 mpg city/50 mpg highway/52 mpg combined. 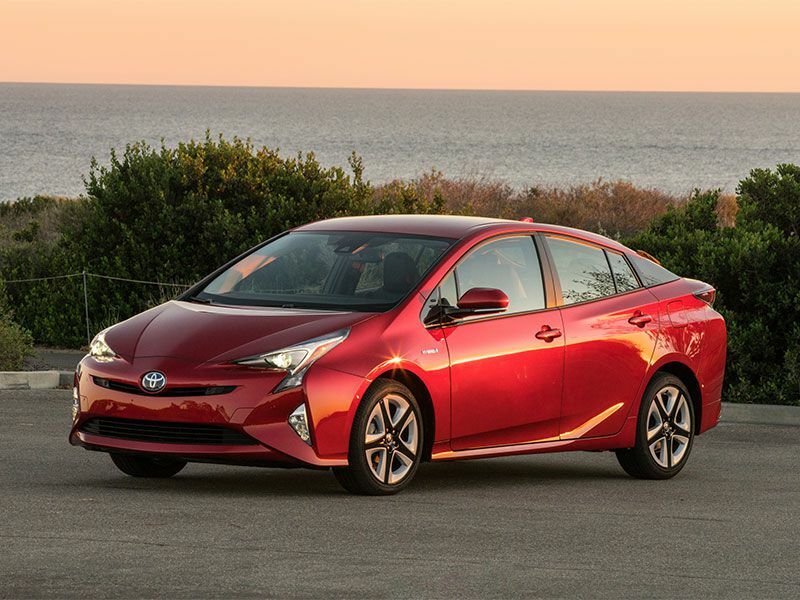 An even greener 2016 model, the Prius Eco, can post a fuel-efficiency line of 58/53/56. The car’s redesign also brought an expressive new look, including standard LED headlights, daytime running lights, and taillights. The cabin is quiet and modern, too, with a standard Entune infotainment system that bundles a 6.1-inch touchscreen, Bluetooth, and a rearview camera. Used hybrids under $15,000 also can offer a fair amount of utility. 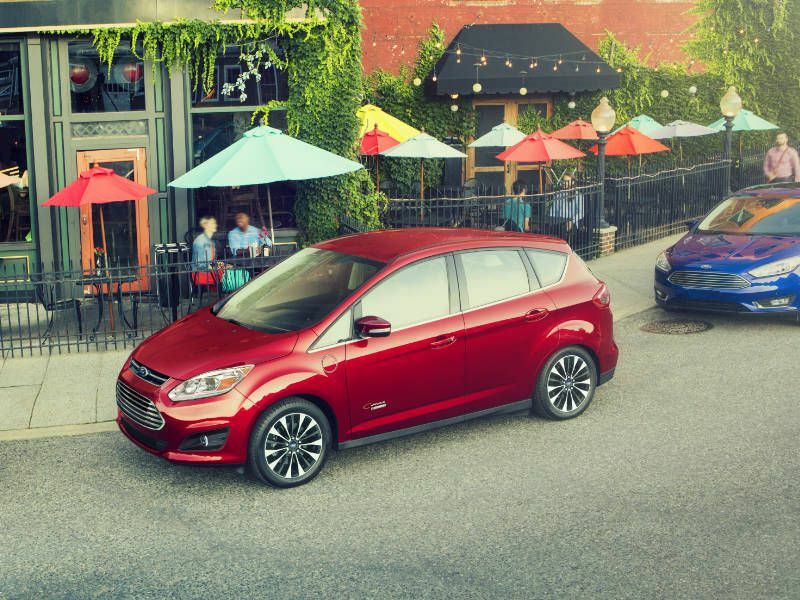 Consider the 2017 Ford C-Max. Although it’s about five inches shorter in length than the Toyota Prius, the C-Max has a crossover-style shape for just as much cargo space. To be exact, the C-Max provides 24.5 cubic feet of storage behind its rear seats, and 52.6 cubic feet in total. That’s also more than Ford’s newer, non-hybrid small SUV, the EcoSport. Of course, a primary benefit of a hybrid is its fuel economy, and the C-Max shows its stuff here with EPA grades of 42 mpg city/38 mpg highway/40 mpg combined. Plug-in C-Max models are tougher to find under $15,000, but they’ll reward your efforts by adding a 20-mile all-electric driving range. 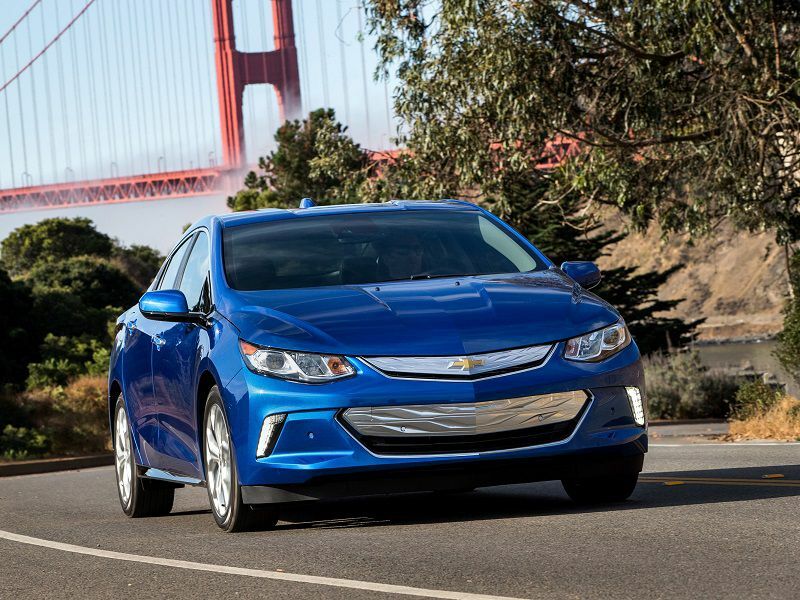 You can ease into the EV lifestyle with the 2016 Chevrolet Volt. 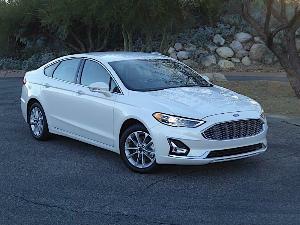 It stands out among the used hybrids under $15,000 with an all-electric driving range of 53 miles. And to be clear, the Volt can operate as a gasoline-powered hybrid if you need to go farther. The car can travel another 370 miles in that driving mode, and achieve 42 mpg combined at the same time. 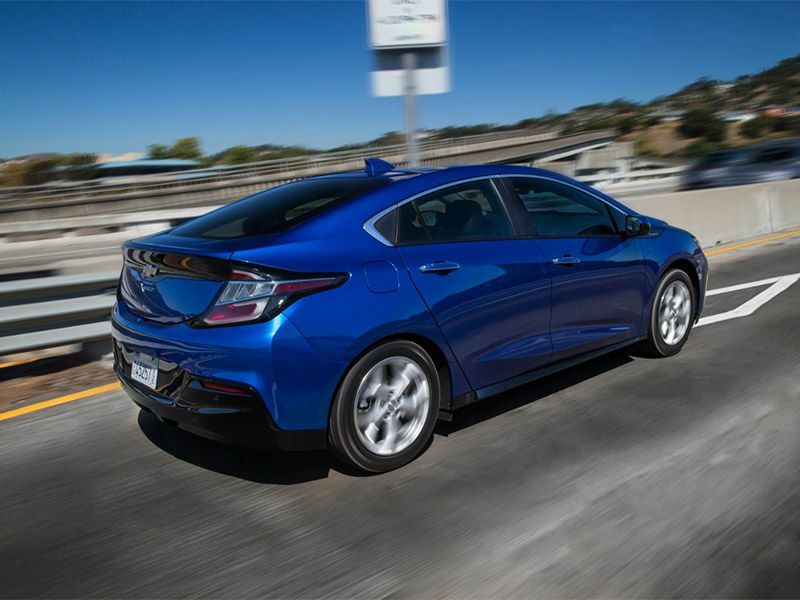 This kind of performance comes courtesy of a next-generation two-motor drive unit that made its debut in the 2016 Volt, which was redesigned from the ground up that year. The Volt also gained welcome standard equipment in 2016 like a mobile Wi-Fi hotspot, Apple CarPlay, an 8-inch touchscreen, LED low-beam headlights, and a rearview camera. 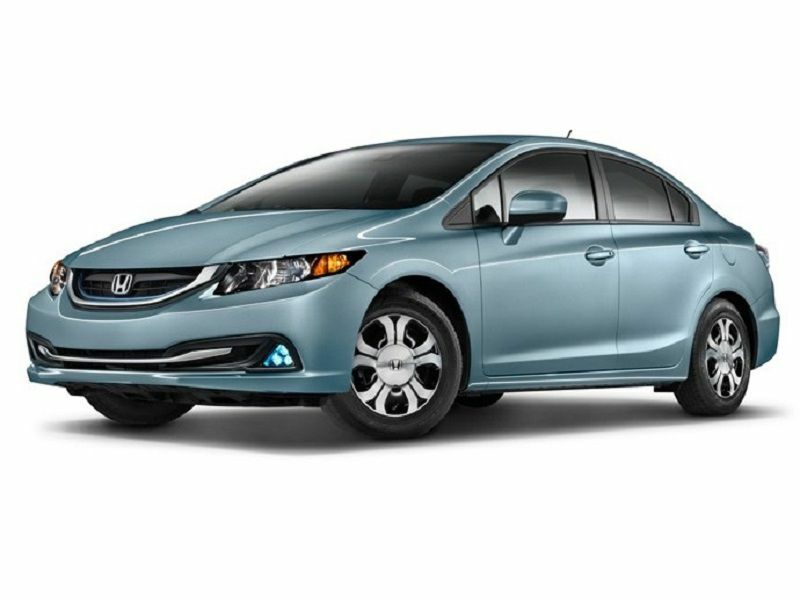 Used hybrids under $15,000 include more traditional-looking cars as well, like the 2015 Honda Civic Hybrid. The Civic Hybrid has the same appearance as the 2015 Civic sedan, but with a high-tech powertrain that’s good for fuel-efficiency scores of 43 mpg city/45 mpg highway/44 mpg combined. The Civic Hybrid builds on that advantage with some unexpected standard features. For example, Honda goes beyond the typical rearview camera to supply standard forward-collision warning and lane-departure warning. The car’s camera then relies on a generously sized 7-inch touchscreen that’s 67 percent bigger than the comparable display in the Ford C-Max. Just keep in mind, the compact Civic Hybrid also has a compact trunk capacity of a mere 10.2 cubic feet. Prefer midsize used hybrids under $15,000? In that case, we can recommend test driving the 2017 Hyundai Sonata Hybrid. You’ll get the same eye-catching exterior design and tech-friendly cabin as the gas-powered Sonata, plus much improved fuel-efficiency grades. 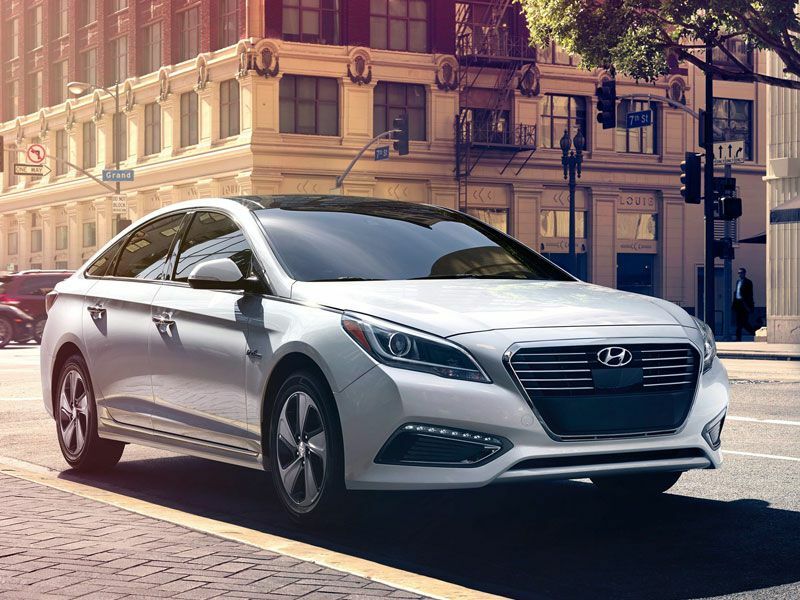 The Sonata Hybrid SE is rated at 39 mpg city/45 mpg highway/42 mpg combined. As a result, it leads the standard Sonata by 14 mpg city/9 mpg highway/13 mpg combined. The same hybrid trim level also features an impressive array of standard technology, in addition to what’s in the car’s powertrain. Highlights include Android Auto, Apple CarPlay, a 7-inch touchscreen, a rearview camera, and a handsfree trunk that opens after you move your foot under the rear bumper. 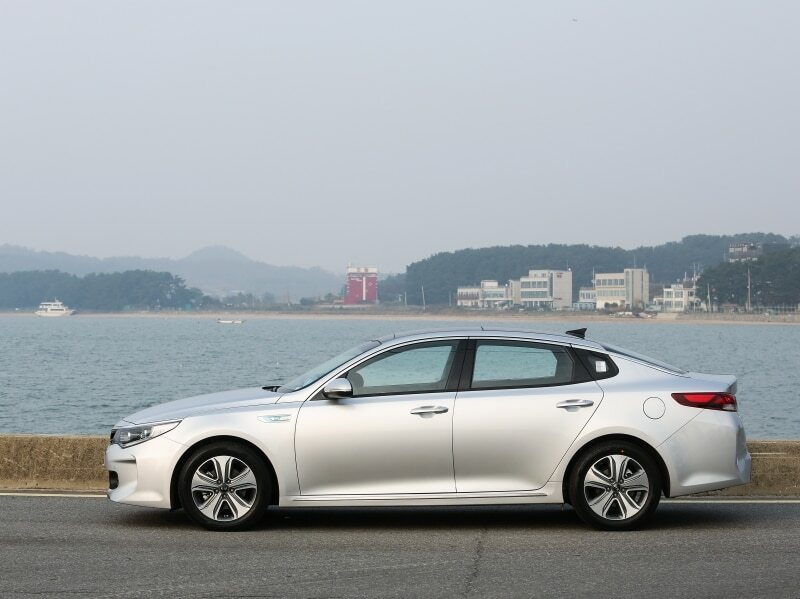 Arguably one of the most stylish used hybrids under $15,000 is the 2016 Kia Optima Hybrid. It looks like a sleek sport sedan, right down to the functional cooling vents built into its aero-style front bumper. 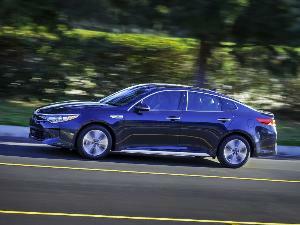 The Optima Hybrid also carries its share of upscale details. 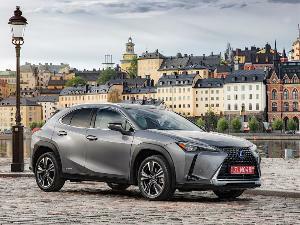 In the cabin, a leather-wrapped steering wheel, push-button start, dual-zone automatic climate control, and a cooling glove box all are standard. The downside here is that the Optima Hybrid isn’t the most efficient entry in its class. Indeed, it’s the only midsize hybrid here that can’t crack 40 mpg in any EPA testing. 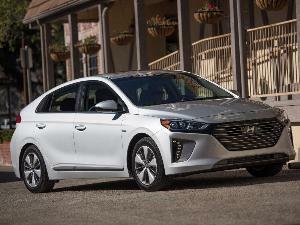 Yet with fuel-efficiency marks of 35 mpg city/38 mpg highway/37 mpg combined, the Optima Hybrid bests the standard model by 11 mpg city/4 mpg highway/9 mpg combined. 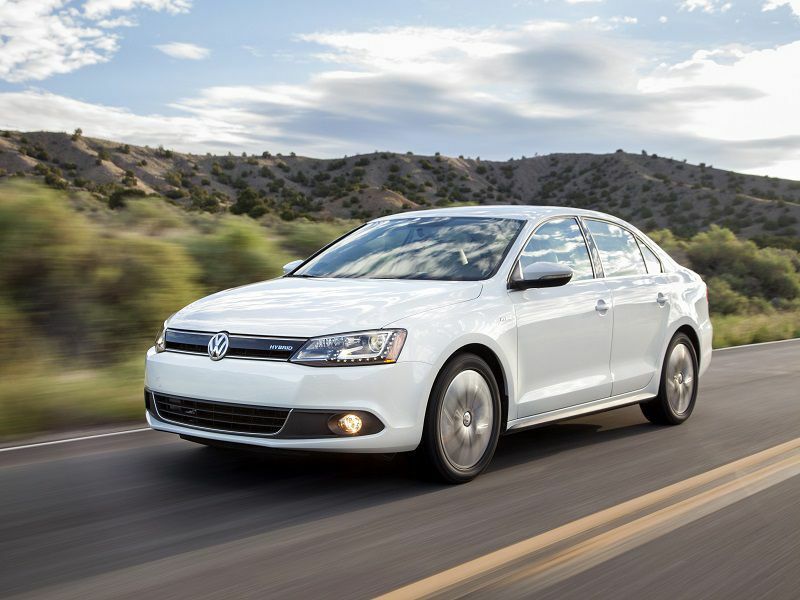 You should check out the 2016 Volkswagen Jetta if you like sporty used hybrids under $15,000. After all, the Jetta Hybrid checks in with a peppy turbocharged engine beneath its hood and a sophisticated seven-speed dual-clutch automatic transmission - with a dedicated sport mode - for the gearbox. The Jetta Hybrid also offers a lot of value for $15,000. This price covers standard content such as heated front seats, a leather-wrapped steering wheel, push-button start, and both Android Auto and Apple CarPlay. Nor does VW stint on driver-assistance. Instead, a rearview camera, a blind-spot monitor, rear cross-traffic alert, parking sensors, bi-xenon high-intensity discharge headlamps, and adaptive front lighting all are standard. So are fuel-economy marks of 42 mpg city/48 mpg highway/44 mpg combined. 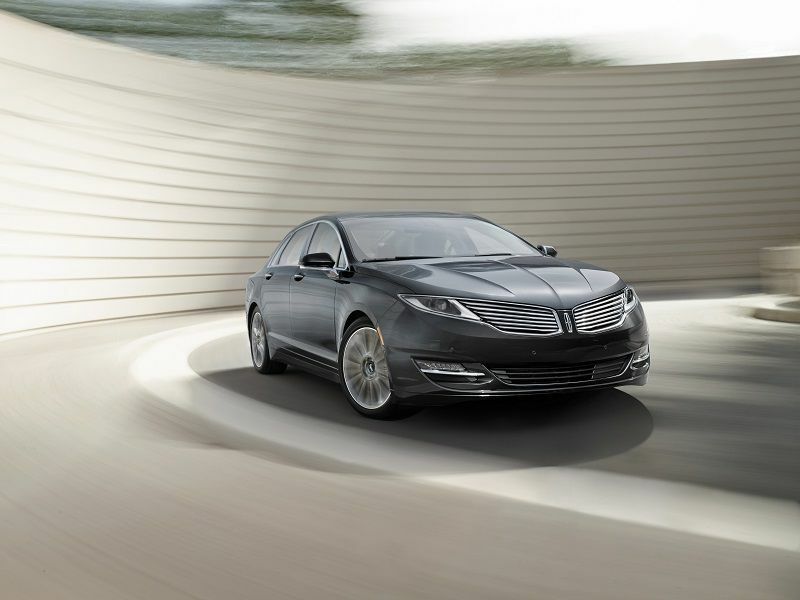 More luxurious used hybrids under $15,000 include the 2016 Lincoln MKZ. Leading the way for Lincoln’s premium midsize sedan is a distinctive exterior with the brand’s bold split-wing grille, flanked by standard adaptive LED headlamps. Moving to the cabin, 10-way power-adjustable heated front seats and a leather-wrapped steering wheel are standard for comfort. For technology, you can count on a standard 8-inch touchscreen, an 11-speaker audio system, and a rearview camera. The MKZ Hybrid brings a unique instrument panel, too. The SmartGauge with EcoGuide setup displays both conventional and hybrid-focused information, and it even can help show you ways to maximize the car’s fuel economy. Speaking of which, the 2016 MKZ Hybrid earns EPA ratings of 41 mpg city/39 mpg highway/40 mpg combined. 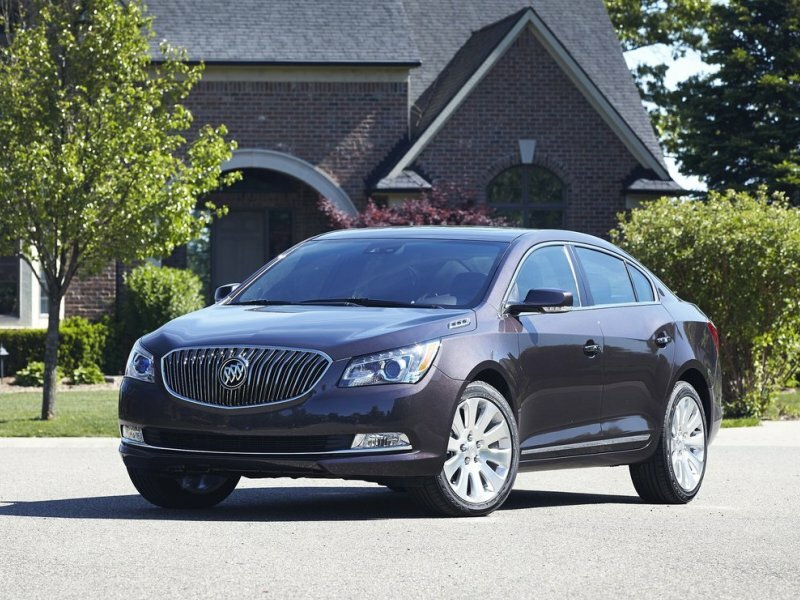 There aren’t many full-sized used hybrids under $15,000, but the 2015 Buick LaCrosse fits the bill. Technically speaking, the LaCrosse uses a “mild” hybrid system. This standard eAssist technology can run the car’s accessories when you’re stopped for a traffic light and give an extra boost of power in some driving situations. That’s enough to increase the LaCrosse’s fuel-efficiency grades to 24 mpg city/35 mpg highway/28 mpg combined. For comparison, those are essentially the same numbers as for a standard 2015 Toyota Camry, which is a smaller car. The LaCrosse, remember, is a full-size entry with more than 40 inches of legroom for both the front and back seats. It also features premium technologies such as a standard mobile Wi-Fi hotspot. We kicked off our gallery of used hybrids under $15,000 with a Toyota product, and we’ll finish the same way. 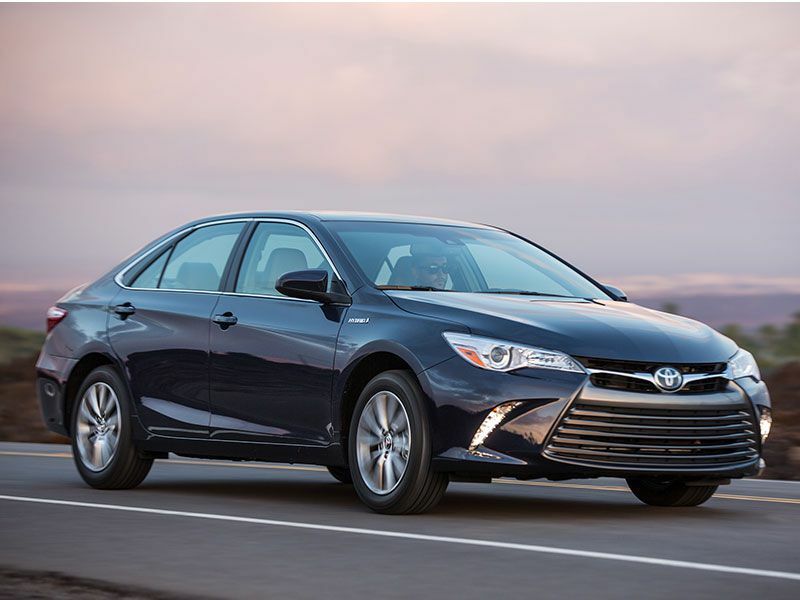 The Toyota Camry Hybrid is the most fuel-efficient version of the brand’s popular midsize sedan, and for 2017, the entry-level LE version offers EPA scores of 42 mpg city/38 mpg highway/40 mpg combined. Don’t let that “entry-level” name fool you, either. Though the Hybrid LE trim is the most likely to be below our $15,000 ceiling, it still provides standard features such as an Entune infotainment system with a 6.1-inch touchscreen, Bluetooth, a USB port, and an integrated rearview camera. 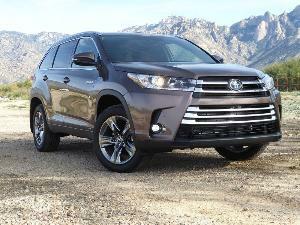 Upscale standard touches on the outside range from LED daytime running lights to heated mirrors.